The fast fashion landscape has created a serious waste disposal problem. And, for the love of environment, we would love to reduce disposal of garment items. By collecting your used garments and recycling them for the lower-income class, we would love to project the message of Sustainable Fashion, as well as reducing waste disposal. Your purchasing power can actually be an impact to the society. We transform your purchases to a societal value by collecting your unused garments. We partner with NGOs, making these unused garments valuable dressing items for the people in need. Now, create social values by bringing us your used garments! 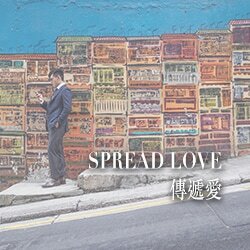 Spread love with the suits that you donate! We bring love to the people in need with the items you brought to us. These suit items will be used by the lower income class, making them presentable for job interviews, helping them to blend into the society. With these items that you brought to us, you are actually making the society more lovable. You can enjoy a $500 discount for every set of suit that you bring to us.